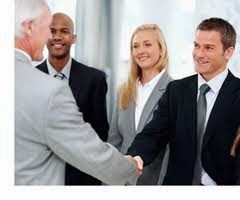 If you are starting a new business, it is true that first impressions are lasting impressions. Your employees will immediately set the tone for your business in the eyes of your customers. So, it is imperative that you hire the right people from the very beginning. Even if you need people desperately, don't cave in to pressure and hire just anyone. Take the time to make a good choice. If possible, give them a 60-90 day trial period. This will give you time to observe how they perform and fit in with the company. Another option is to hire an intern. Many interns are eager to spread their wings and test their skills and will work hard to fill the position and turn it into a full-time job. Don't make the mistake of hiring someone because they have a great personality, or have good skills but not in the area you need. Be careful about that phrase "transferable skills" because sometimes it can mean you are just trying to fit a square peg into a round hole. In the long run, it doesn't work. You consider yourself a smart person, but you can't do it all. Make sure you hire people who are as smart or smarter than you. You don't want mediocre people who will just do the job; you want people who will help you think outside the box and help you take your business to the next level. Another consideration is to hire people who will be a good fit for your company. What does this mean? It means you should be sure you can work with them. This is where work style and personalities come into play. They may be smart, but if they are egotistical and not team players, you are in for a rough road. Every employee should fit together to work like a well-oiled machine. The bottom line is hiring employees, whether you are just starting a business or adding employees, take the hiring process seriously. Invest the time and effort to build a good team.